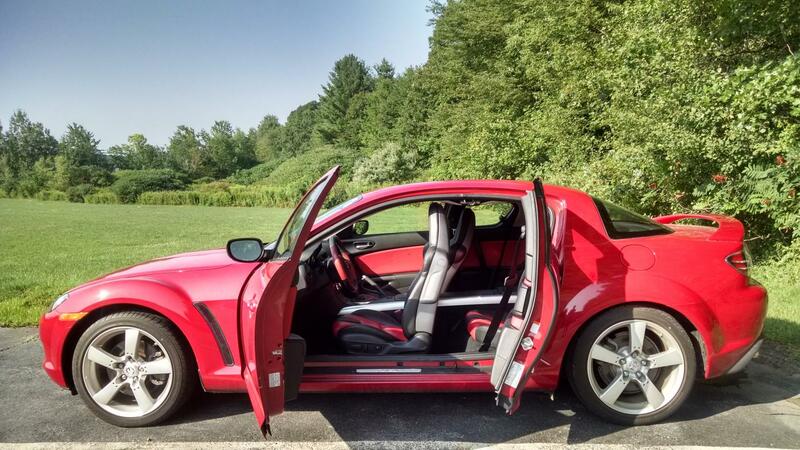 Very sparingly used RX-8 with only 14k original miles. Never modified, fully stock. 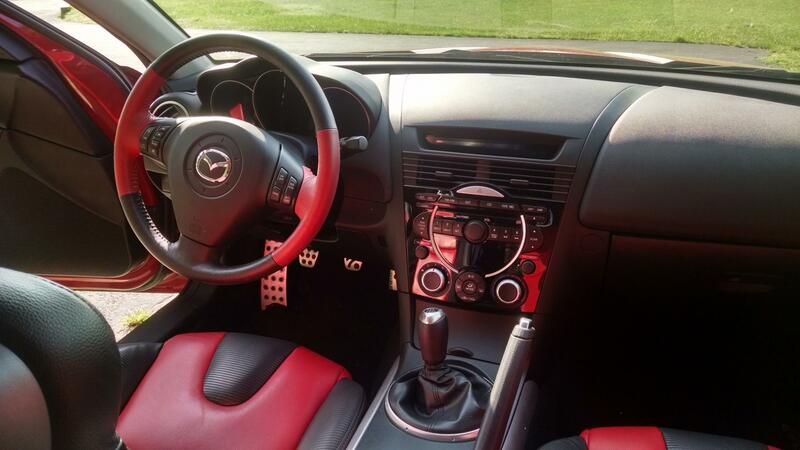 6 speed manual transmission, red and black leather interior. Immaculate condition. Asking $12,000. Looks nice, do you have recent compression test numbers on the engine? 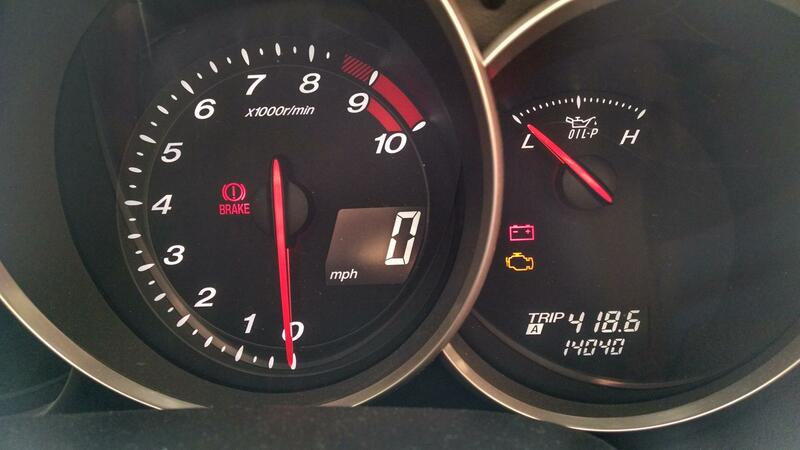 Good compression numbers will sell this car quicker than anything else. I'm not sure I'd worry about the compression at 14k miles. What's the build date listed on your door jam? And where are you? If those 14,000 miles did not include proper WOT runs there could be a carbon buildup and the engine could be going south, even at 14,000. 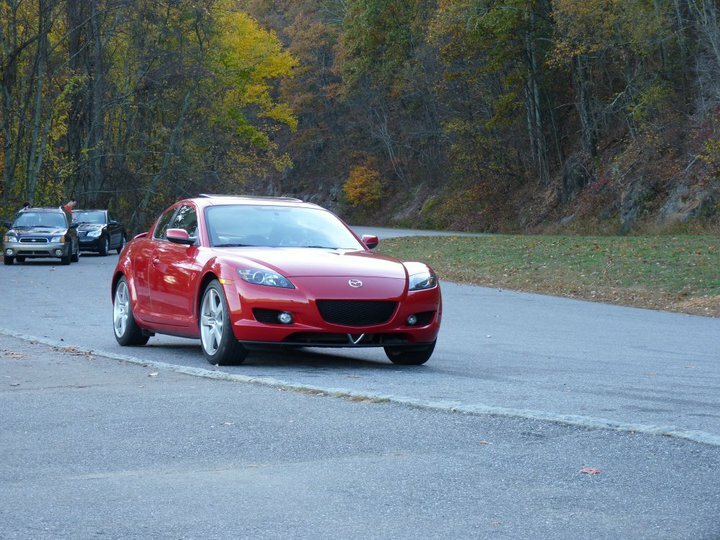 Just ask the 2004 and 2005 RX8 owners in our club that had to have engines replacement before 20,000 miles. I want to see you sell this car and get the price you desire, but get that compression test done to end any hesitation by a potential buyer. 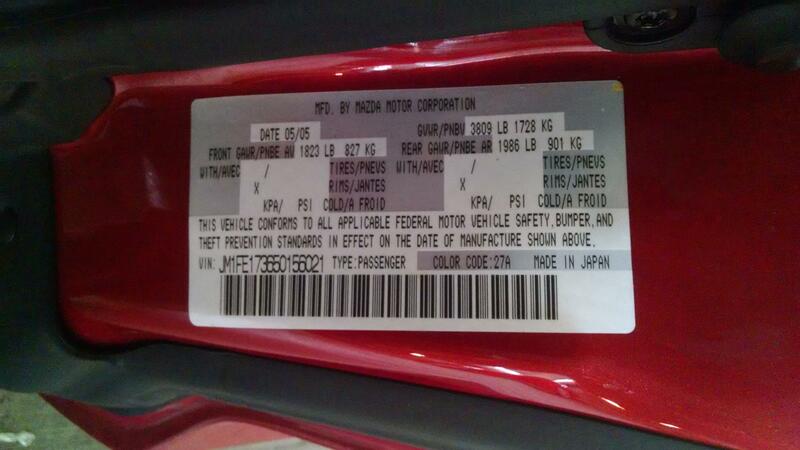 The build date on the sticker is 05/05. 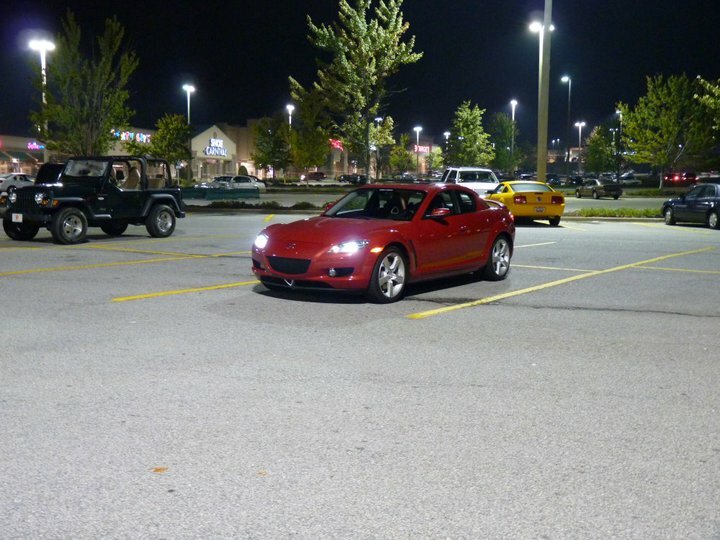 Also, the car is located in Marlborough, MA.